With the release of the World Fair DLC I come up with a lot of new ideas for this park. But currently I work on a totally different (in the closest meaning of this word) project with or for Planet Coaster. Good to see you back, Spanky! I hope to see you continue this. 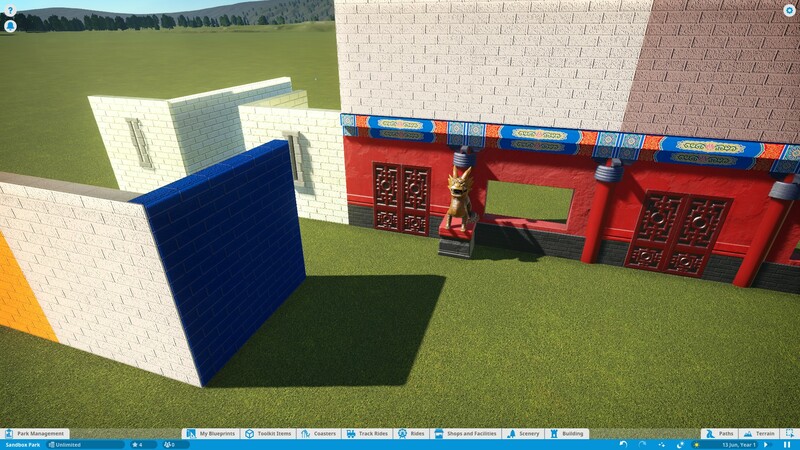 Maybe you read it in the PlanCo forum that I had to renew windows a few months ago, but stupidly did not backup my PlanCo parks and blueprints. Fortunately, there is still this thread with all the pictures, so I can orient myself a little bit, if I will build the "Arabian Nights" part again. This theme is still one of my favorites and I will definitely pick it up again. At the moment I'm on a trip to China again. This is my creation of a little teahouse, inspired by the famous Huxinting Tea House in Shanghai. 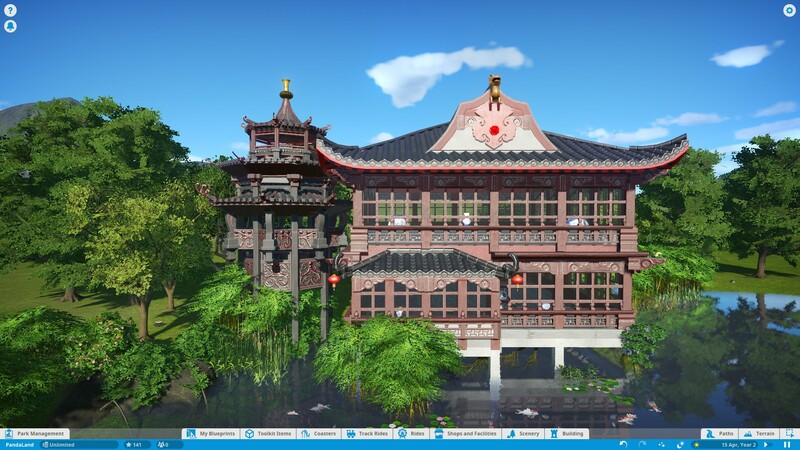 The pagoda was created by HeltRoy豆豆 and is taken from the PlanCo Workshop. 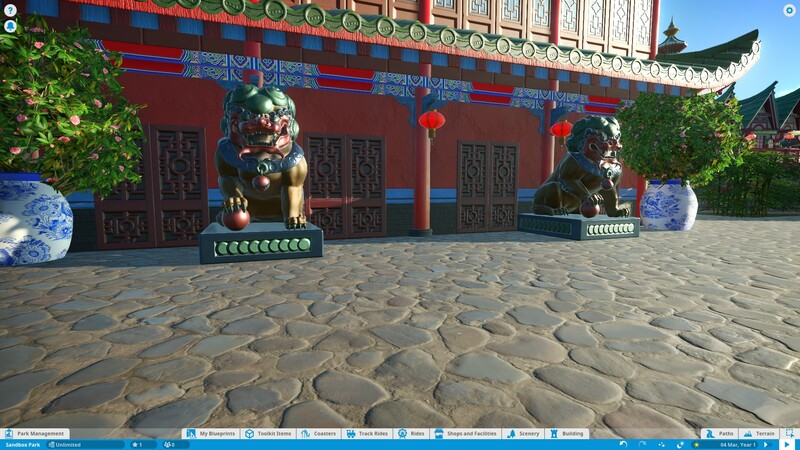 The Asia Theme in Planco is great, but some objects that PlanCo calls "small" are anything but that. But you already know that. 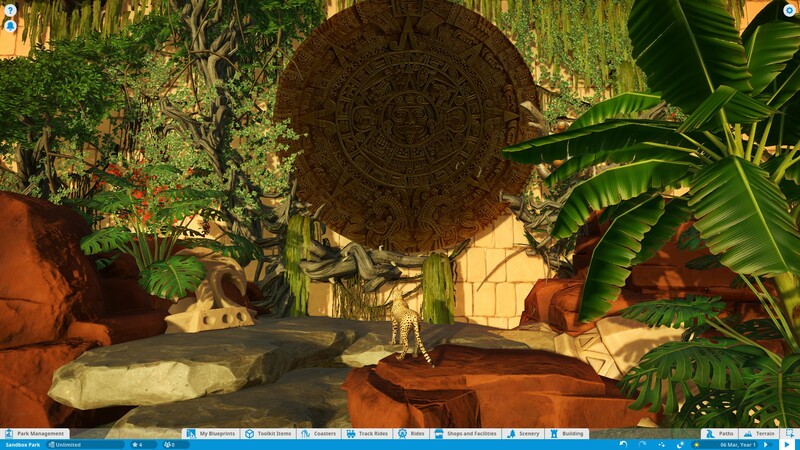 The new "Sky Temple" looks great and is perfectly modeled after the original in Efteling. I already uploaded some Chinese vases in the TMT workshop. Maybe you have already seen them? If I can fix my "problem" with the right placement of walls in Blender, maybe more will come. Hope, you'll like this small update. More hopefully soon. Wow Spanky, the wait was worth it! Your 'little' teahouse looks like a four-star restaurant. HeltRoy's pagoda looks fantastic; I love the muted colors. And those vases- beautiful! Everything about that last screenshot shouts 'China'. I'm still learning to create new objects in Blender and I think I'm making good progress. Meanwhile I found out how to place walls on grids almost exactly, Normal Maps and Flexi-Color also work. In my latest test, I also found that I should probably change the front and back of the objects to get better results with light and shadow.